Amazon Prime seems to dominate the online shopping market, especially for consumers who like to combine their shopping habit with their movie and music streaming. But there’s another player in the cyber subscription game that offers enticingly fast delivery at a competitively low price on a selection of major retail brands. Before you invest your hard-earned cash in an online shopping subscription service, let’s see how the two shopping giants stack up. Amazon Prime is nothing short of an all-encompassing online shopping experience. The brainchild of cyber marketplace Amazon, the Prime service gives members free two-day shipping on eligible products, unlimited music streaming, unlimited movie and TV viewing, unlimited photo storage and early access to limited-time deal opportunities, called Amazon Lightning Deals. 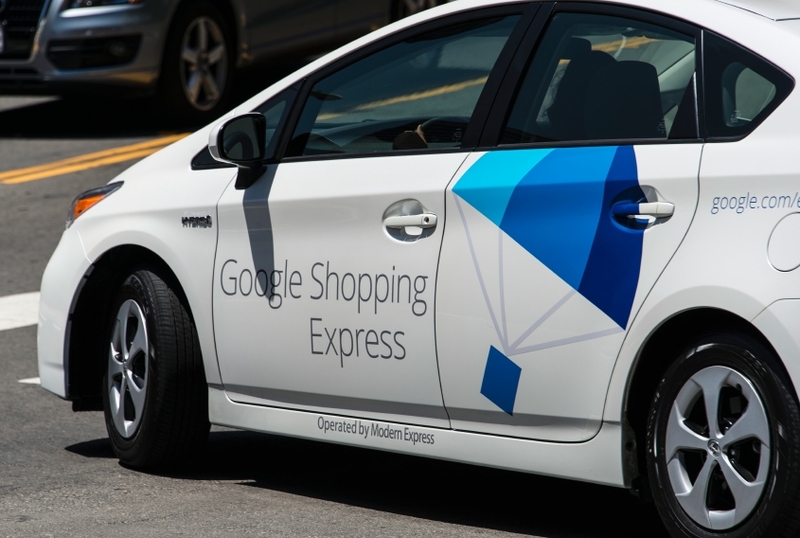 Google Express, on the other hand, is a shopping and shipping one-stop-shop for metropolitan city dwellers. The service gives members free, same-day delivery in eligible areas on qualifying orders over the $15 minimum threshold. Products for sale via the service include items from major retailers, including everything from Sports Authority to Costco. It’s all about speed at these two online giants. Google Express offers free same-day or overnight delivery where available. Delivery areas for Express are limited to the following: San Francisco, Peninsula and San Jose; West Los Angeles; Manhattan; Chicago; Boston; and Washington, D.C. Delivery-eligible cities are expected to expand in the future. Over at Amazon Prime, members can receive free same-day delivery on orders over $35. If your order is less than $35, delivery is $5.99 per order. Delivery is limited to the following metro areas: Seattle/Tacoma; San Francisco Bay Area; Los Angeles; San Diego; Phoenix; Dallas/Ft. Worth; Tampa Bay Area; Atlanta; Washington, D.C.; Baltimore; Philadelphia; New York City; and Boston. The fastest free shipping option for Amazon Prime members is the service’s signature two-day shipping on qualifying items. From groceries and home products to clothing and electronics, the possibilities for fast shipping from Google and Amazon are essentially endless. Each service has a broad range of items that consumers can purchase. The real difference in products comes down to the supplier. Amazon’s products are supplied by Amazon itself, whereas Google Express sells and delivers products from a combination of local stores and major big-box retailers. As such, stores available in each delivery area vary. If you still aren’t sure which service is right for you, it might come down to dollars and cents. An Express membership costs $10 per month, or $95 per year. Users can join now and take advantage of three months for free; the offer expires Sept. 30. Amazon Prime members pay $99 per year and can sign up for a free 30-day trial to test the service before paying. If you aren’t satisfied, be sure to cancel your trial before the 30-day period ends. So which subscription should you sign up for? If you live in one of the metropolitan areas listed above, we’d recommend Google Express for your shopping fix. Receive your favorite products at your doorstep the same day you order without ever leaving home. If, however, you can wait two days for your shipment (or don’t mind paying a little extra for faster delivery) opt for Amazon Prime, where you’ll enjoy free two-day shipping as well as unlimited movie and music streaming for just $4 more a year than Google’s membership. And you have access to a wider selection of products to choose from.